Disclaimer: All ideas are not of my own. 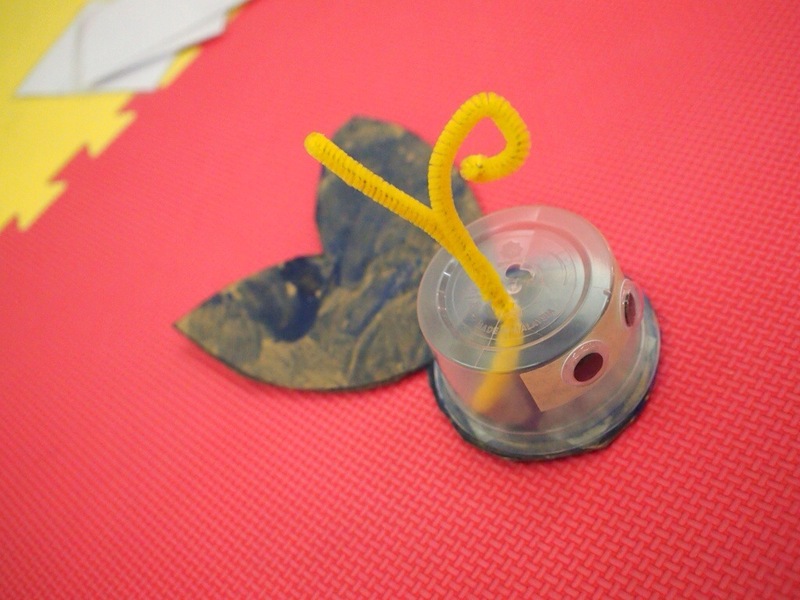 Crafts are adapted and changed accordingly from ideas found from the internet. Feel free to use them where you deem fit. It was a change from the usual spreading of glue and sticking things on it. I love how his tiny fingers tried to manipulate the sticky side of the dots and trying to paste them on the leopard seal. After that we did a Penguin activity. My first thought was that it would be an easy activity for him. 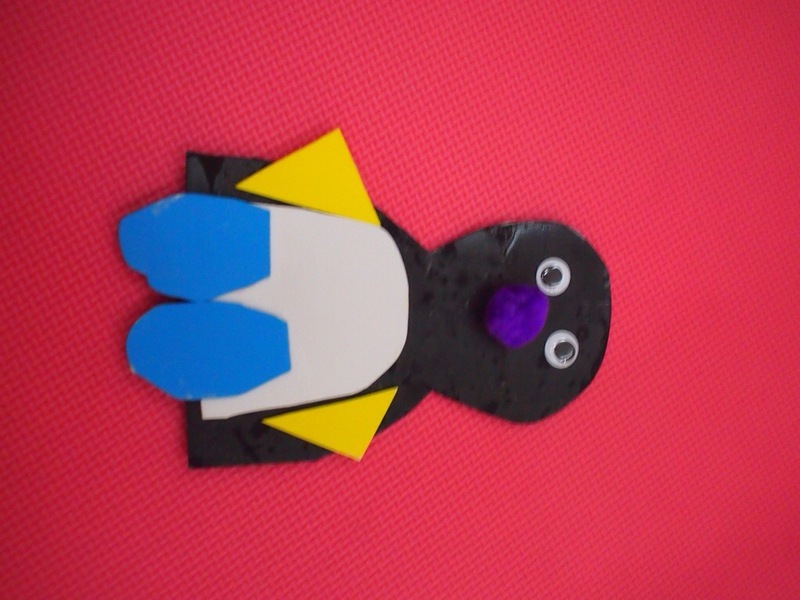 With the picture as a sample, I wanted him to recreate the same penguin using the cut-outs. 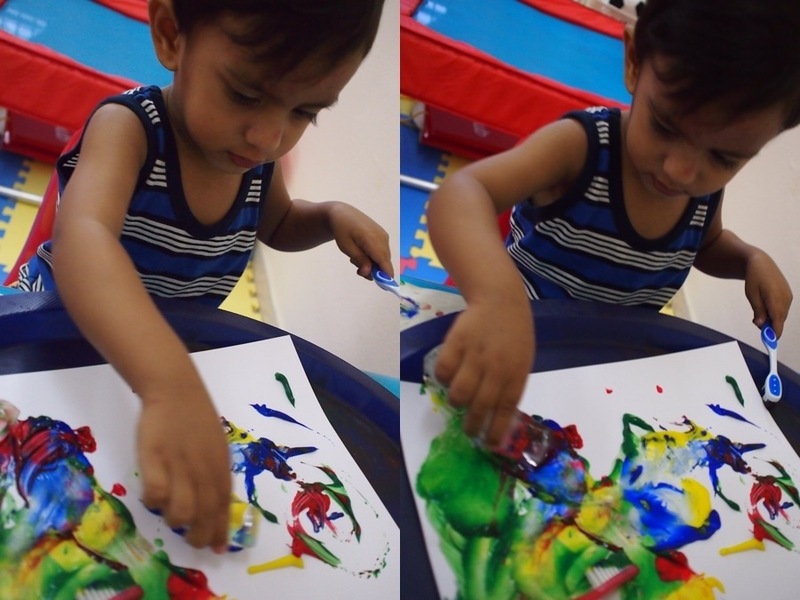 He did matching activity alright, except that he placed the pieces on the printed sheet instead of the penguin’s body. Haha. 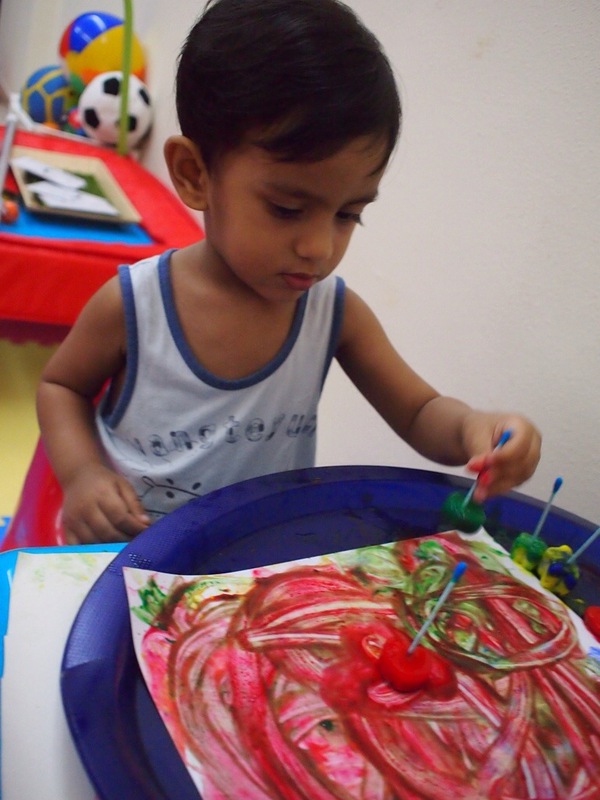 So I had to guide him through the activity. He lost interest after some time. Maybe because he finds it too cumbersome with so much “hand-holding”. Next was a harp seal. 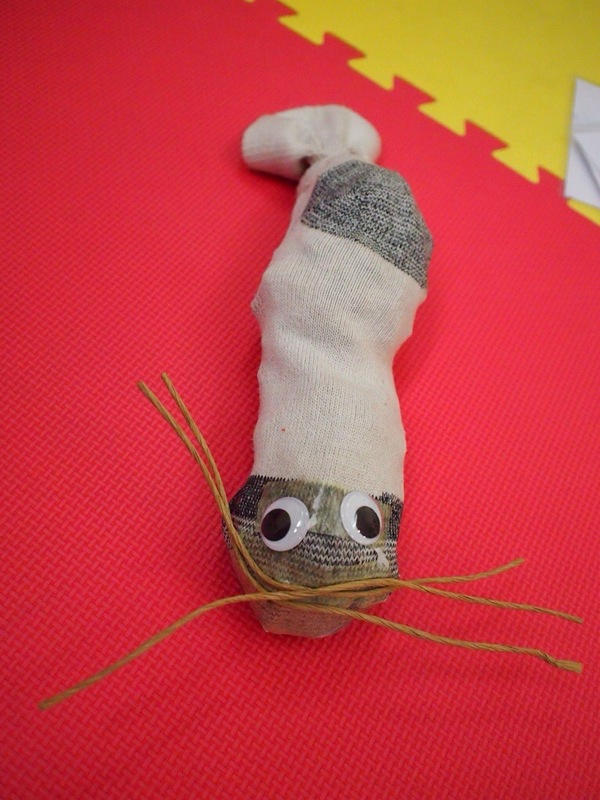 This was a fun activity for him because all he needed to do was to crushed old newspaper into paper balls and stuffed it into the sock. I used double sided tape and had him paste the eyes and the whiskers on it. 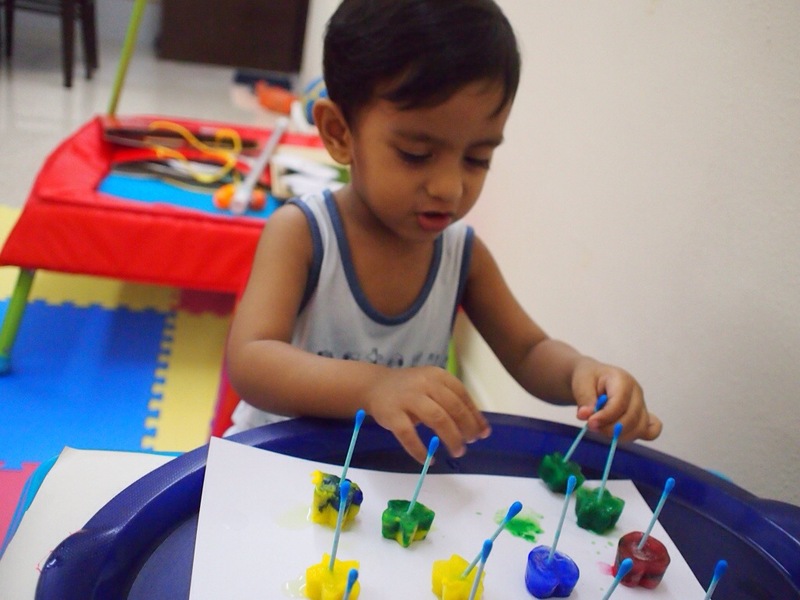 It was a simple activity but having him involved throughout the craft makes me happy. haha. I had planned out to do a whale craft but I was not sure if he understood that the whale actually spurts out water as it breathes out air. I was lucky that when we borrowed the 2 dvds, Penguins: Spy in the Huddle and Frozen Planet, both had segments about two whales, Orca and Beluga. In the segments, not only they showed the breach stunt by the whales, they also showed a couple of times how the whales spurt out water as it breathes out air through a hole at the top of the head. The toob toy clearly demonstrates the whales in a breaching position and also a tiny hole on top of their heads. 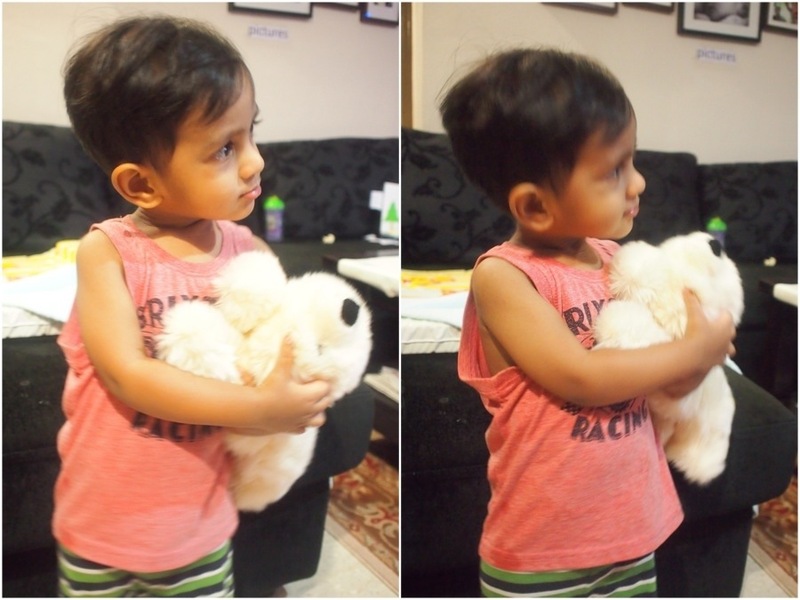 Umar Khalif refers to the spurting of the water as the water fountain. 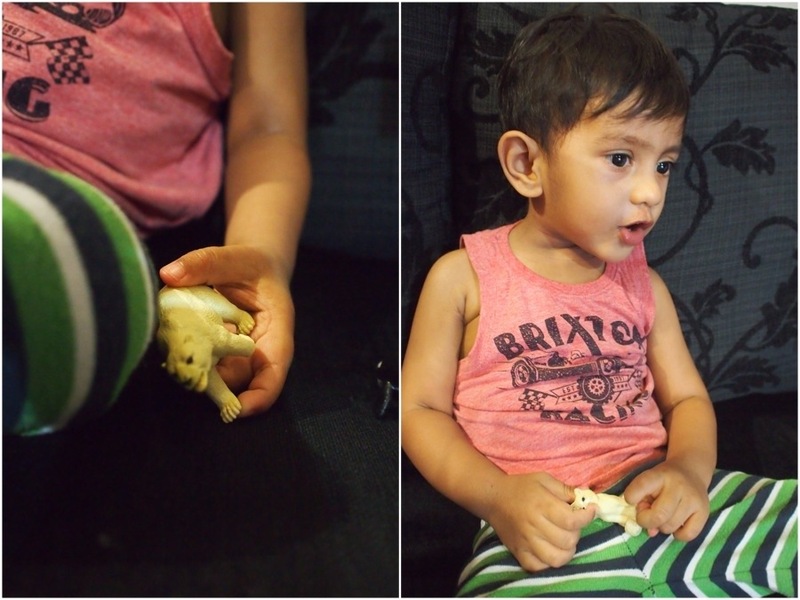 Soon after, he told me he wants a whale for himself. I highly suspect the “water fountain” was the pulling factor. 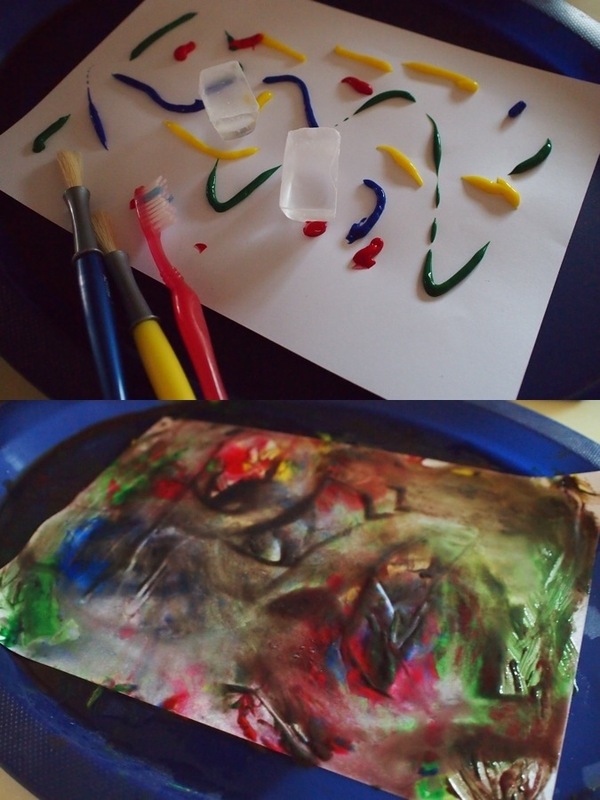 To end our Polar Animals – Craft Sessions, I decided to do a painting with good ol’ ice-paint lollies. I am not sure if he remembers the northern lights he saw on Frozen Planet. I have read articles on how these lights are the results of collisions between electrically charged gas particles. It is so beautiful to see it “live”. 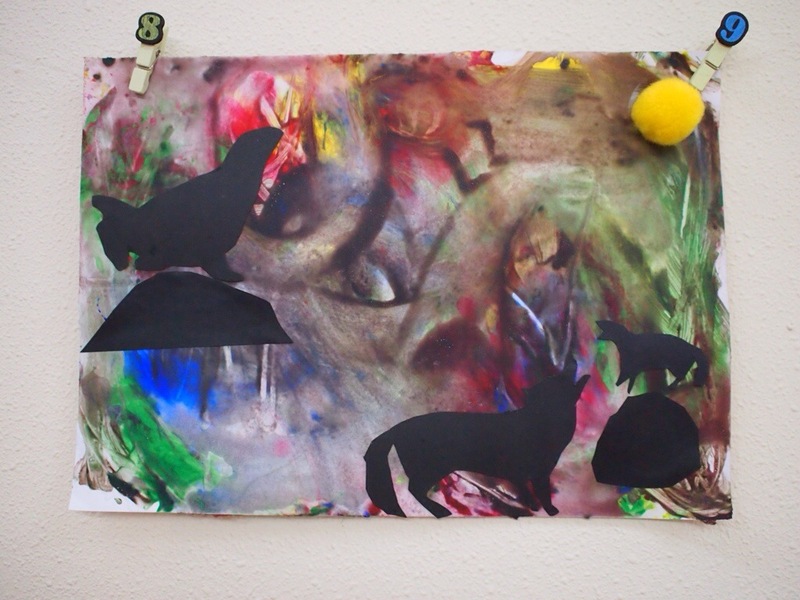 After the painting session, realised I had lots of leftovers shadows of polar animals which could not fit into the previous session. So I decided to do a second batch to paste the arctic fox and leaopard seal in the picture. 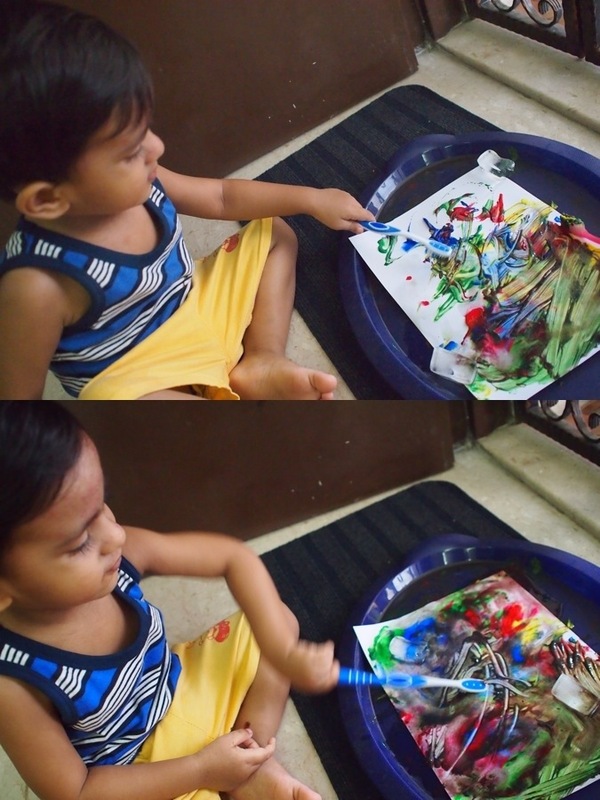 This time we used toothbrushes and also two ice-cubes to make it a dreamy effect. 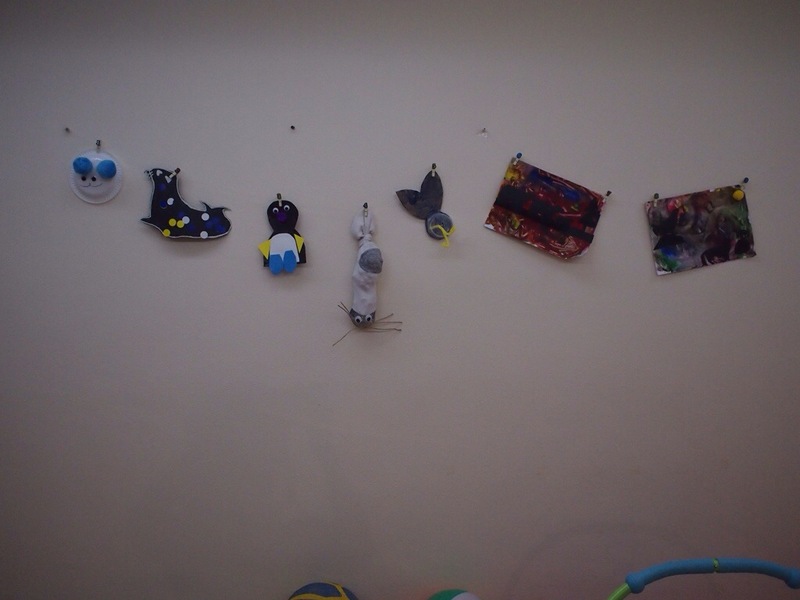 All his crafts were lovingly hung one of his play area walls. Thanks to my dear husband who made it happen! 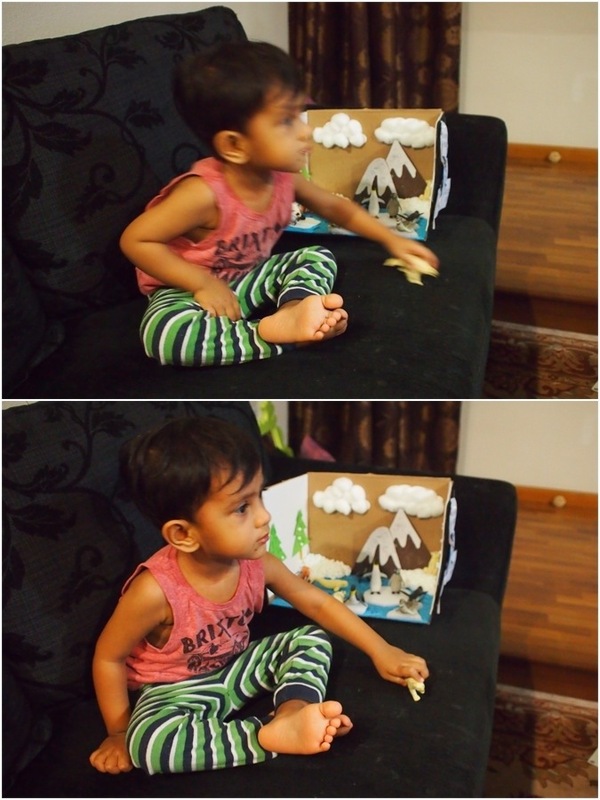 Before I end off, here are some pictures of my beloved Umar Khalif watching Frozen Planet during his screen day. 🙂 You can also read more on the DVDs which I borrowed from the public library – http://nlb.gov.sg that I used for this theme.